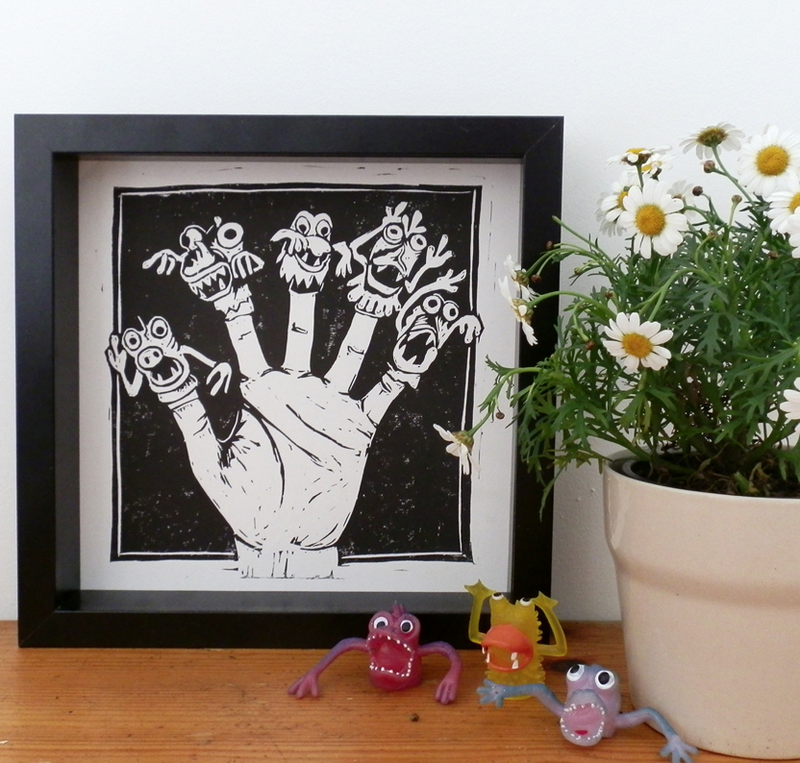 My name is Vicky and I’m a printmaker based by the seaside in Brighton. 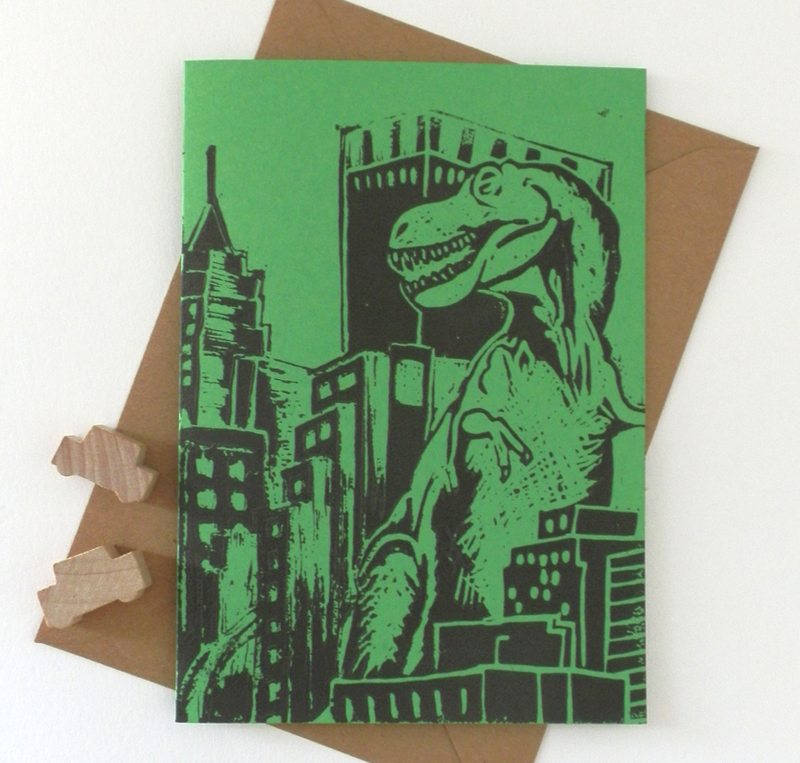 I specialise in linocut prints and cards of bits and bobs like robots and dinosaurs, with an occasional bit of foiling thrown in because who doesn’t like something shiny! I’ve been printmaking for about 4 years now and can’t get enough of it. Do you have a best seller? If so what is it? And do you have some special festive items planned to sell? 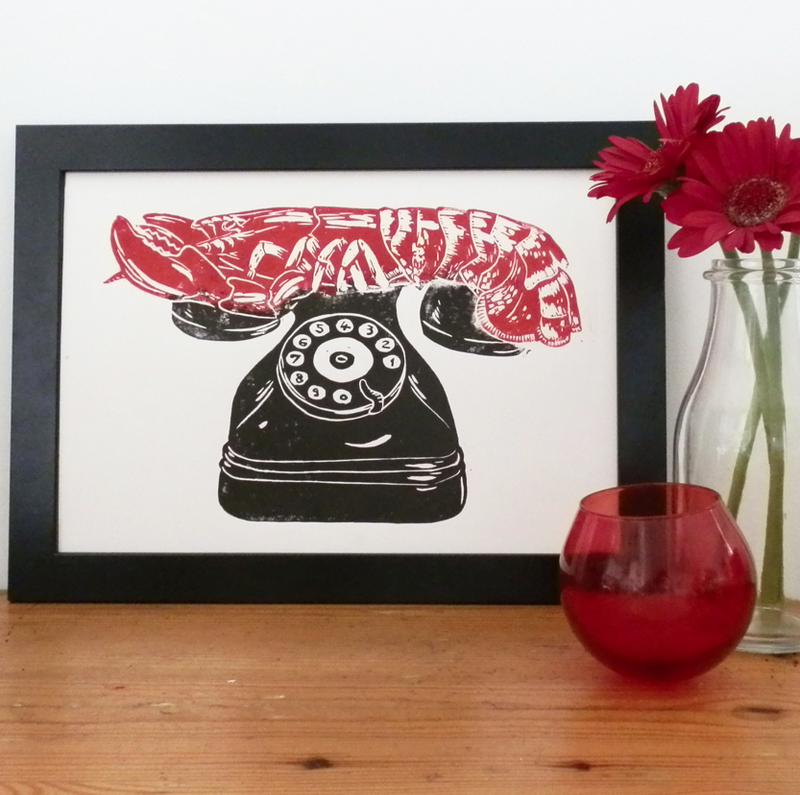 Of course 🙂 My best selling prints are the Monster Hand and my rendition of Salvador Dali’s Lobster Phone. 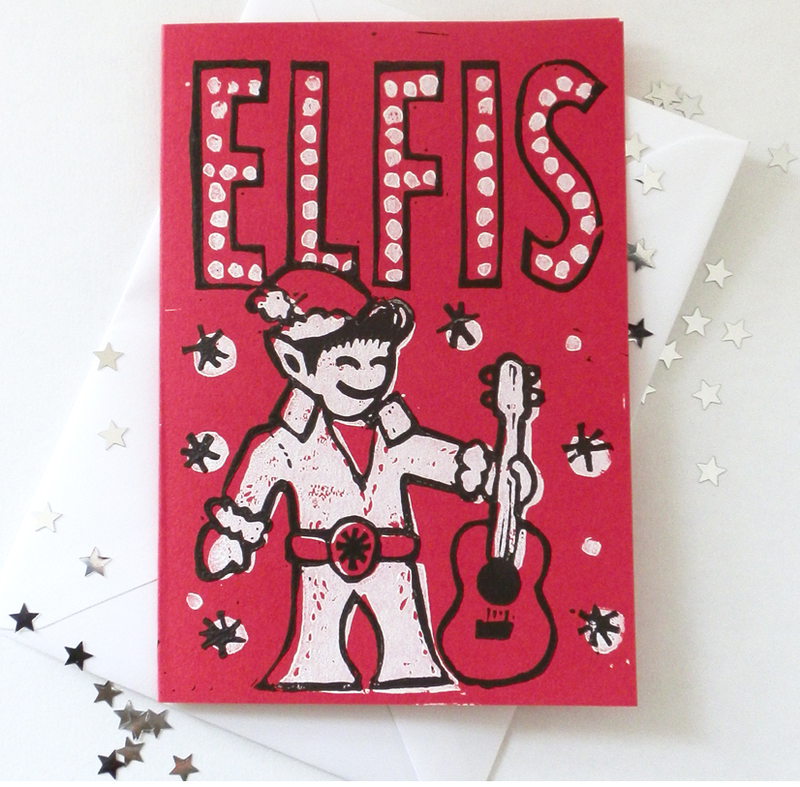 I have also got a range of different Christmas card designs including Elfis who is new for this year and going down a storm. It’s magic! On the base of it, it could not be more simple. All you do is carve a design into lino, ink it up and print it to paper, but how ever long you’ve been doing it you still don’t know how its going to look when it’s printed so you are constantly surprised and then no two prints are exactly the same. I sure do, I’ll be at Craftaganza, Art Junkie and Makers Boutique this Christmas. I’m also in the pop up exhibition at the Fishing Quarter Gallery in Brighton until the 21st Dec. The studio that I work in has some amazing screen printing equipment so next year I’m hoping to get my grubby mitts on that and do some more printing on fabric. 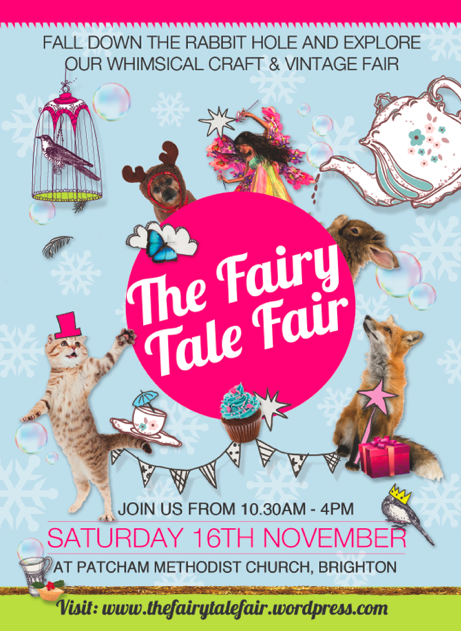 I’m really excited to be selling at the Fairytale Fair this year, It’s going to make for a magical Christmas for sure! 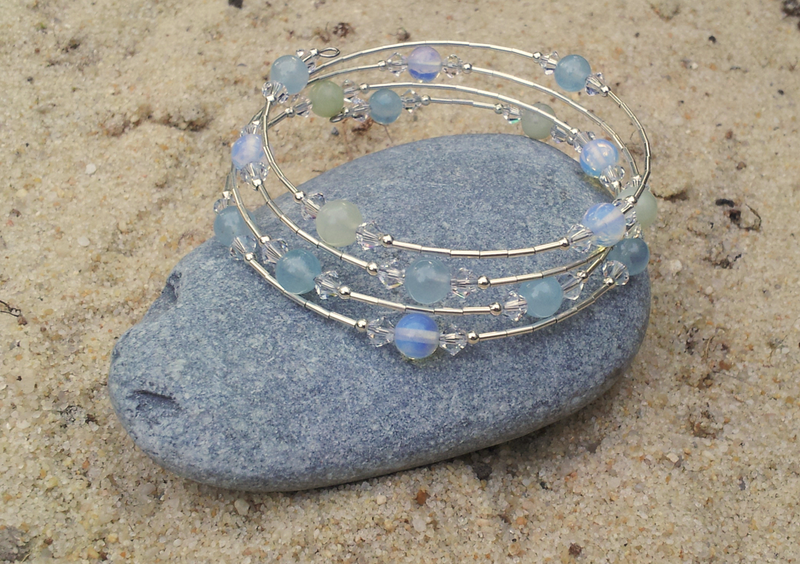 The Silver Hut is a small company based in Brighton that specializes in 925 gemstone jewellery. 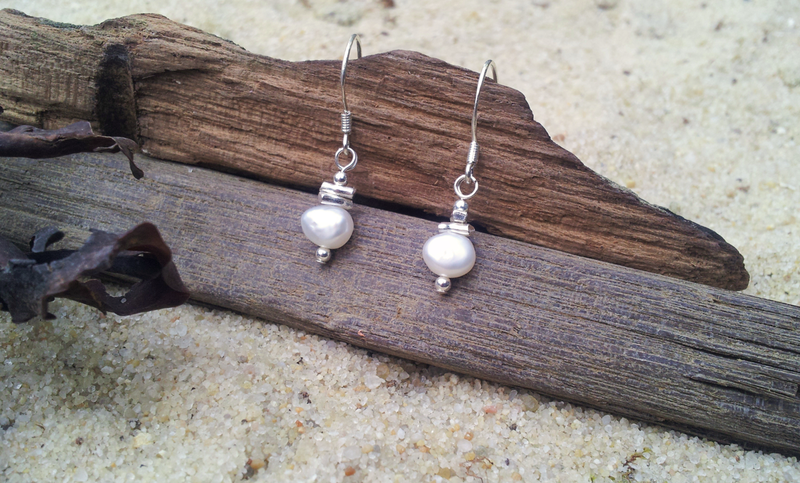 I love to take my inspiration from the beaches and rock pools of Brighton as well as the natural world around me. This year I have a new wintery collection planned, with snowy whites, Swarovski crystals and silver snowflakes. This collection is due to be released in November at the Fairy Tale Fair! I have a few other fairs planned, including the collaboration Christmas fair between The Fairy Tale Fair and Barties Boutique held in Worthing! You can check out all the details of my up coming events on my website! I have attended all of The Fairy Tale Fairs since it launched just over a year ago and I wouldn’t miss it for the world. 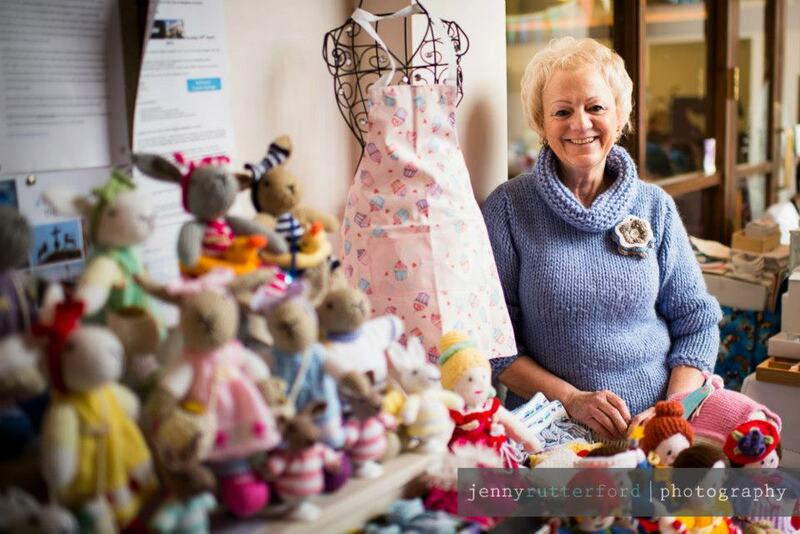 This fair is my favourite to attend, it is always stuffed full of hand made treasures, activities, entertainment and of course the most spectacular cakes I’ve ever seen! The whole fair has a wonderful buzz about it which the stall holders and the customers seem to get energized from. 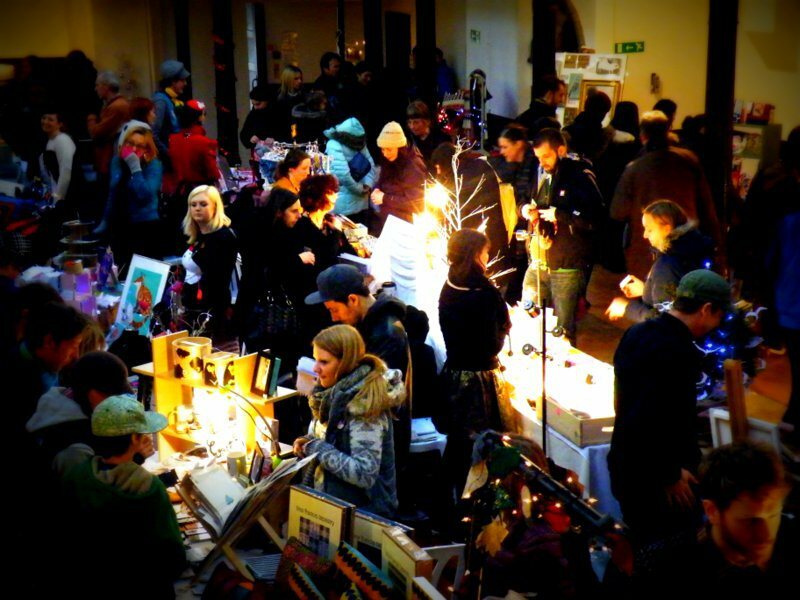 If you weren’t in the Christmas spirit before you arrived then you will be by the time you leave this fair! I recently released my ‘Wedding and Occasion collection’. 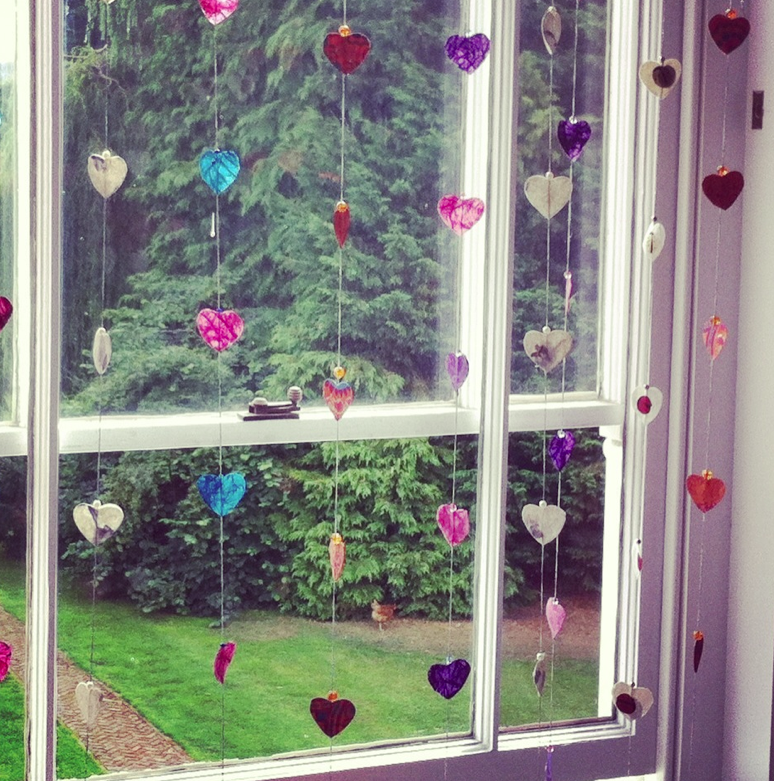 I now have some beautiful designs for special days, all available to order in your custom colours and sizes. 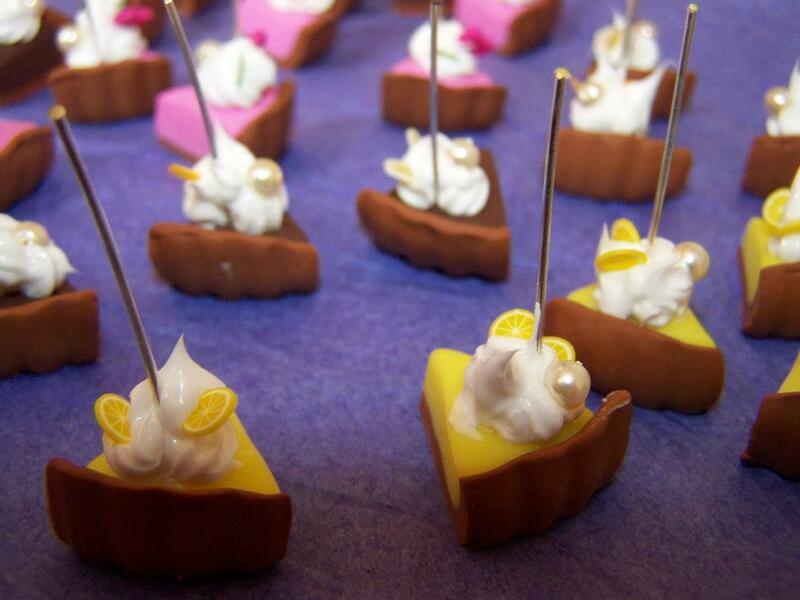 I’m hoping to attend lot’s of wedding fairs next year and expand this business more, so watch this space! Miss this fair and you’ve missed out! 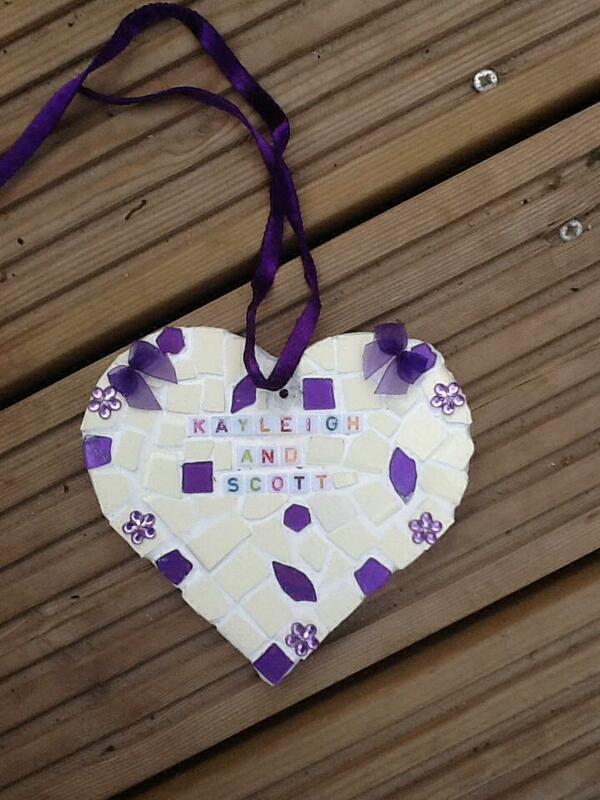 I have been making decorative Mosaic Hearts, mosaic Birds and Trinket boxes as well as Mosaic pots. 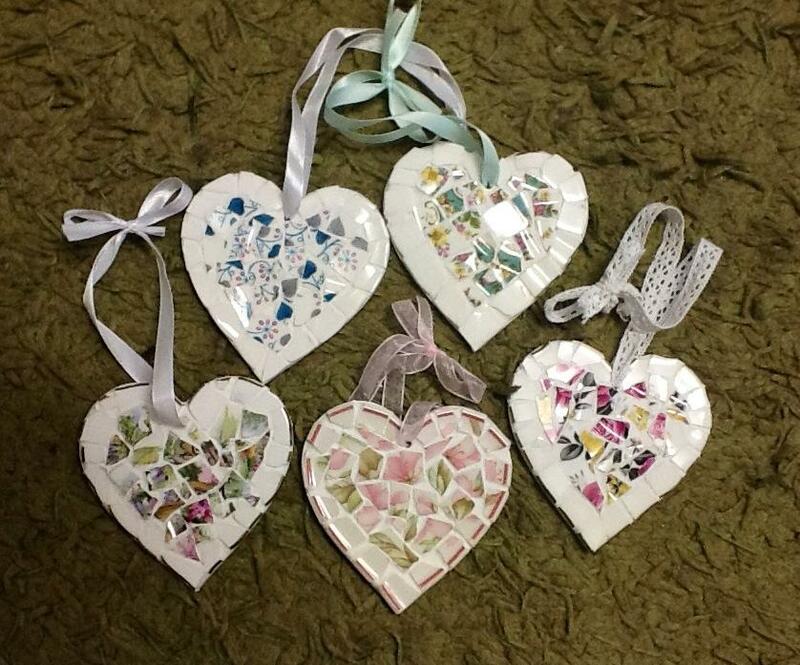 My Hearts are my bestsellers, especially the ones using broken plates, the birds are also popular for hanging in the Garden. I will be doing some mirrored Snowflakes and Christmas trees for the Christmas fare. 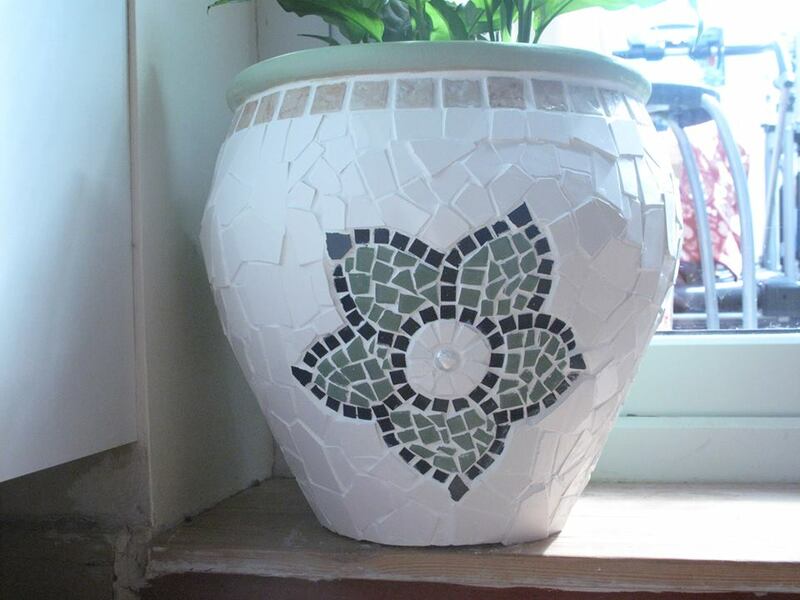 I have always loved “playing “ around with Mosaics and adding bits here and there and creating unusual pieces, if I had the time I would do it all day long !! I find from cutting the pieces of tile to finishing off at the end very enjoyable, therapeutic and rewarding !! 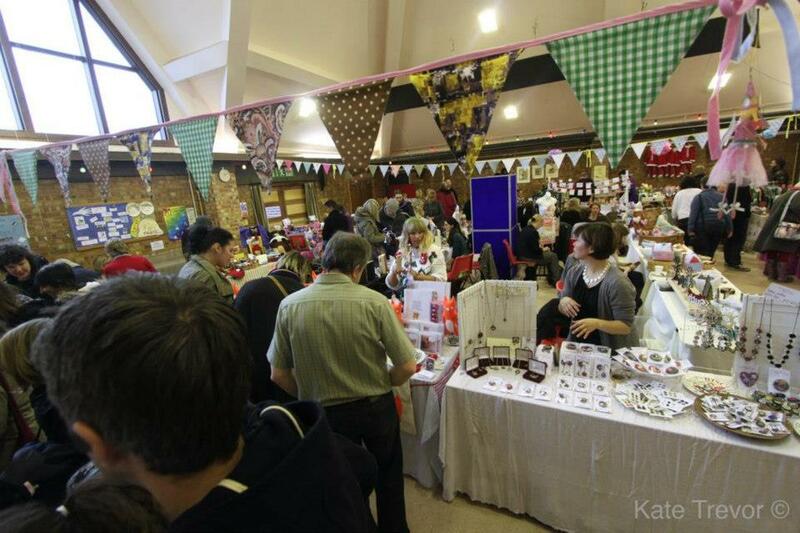 I have taken part in a local Church craft fare which was great. 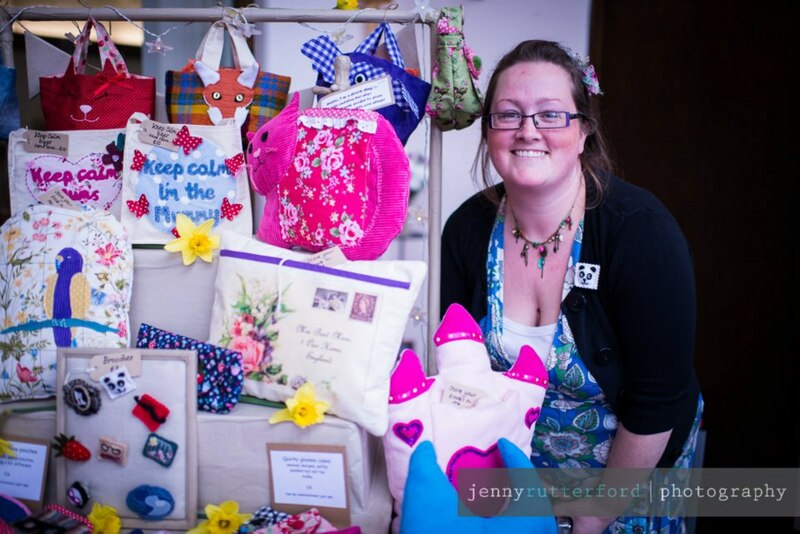 To carry on enjoying what I do and hopefully carry on with the Fairytale fair!! Family, Magical, Giving and Peace. We can’t wait to welcome back Fairy Letters once again to our fair, they joined us in the summer and last Christmas and customers fell in love with their super cute and detailed fairy letters! They couldn’t be more suited for our fair, and they make the perfect stocking fillers or gifts- personalised hand written letters from the fairies with lots of love! 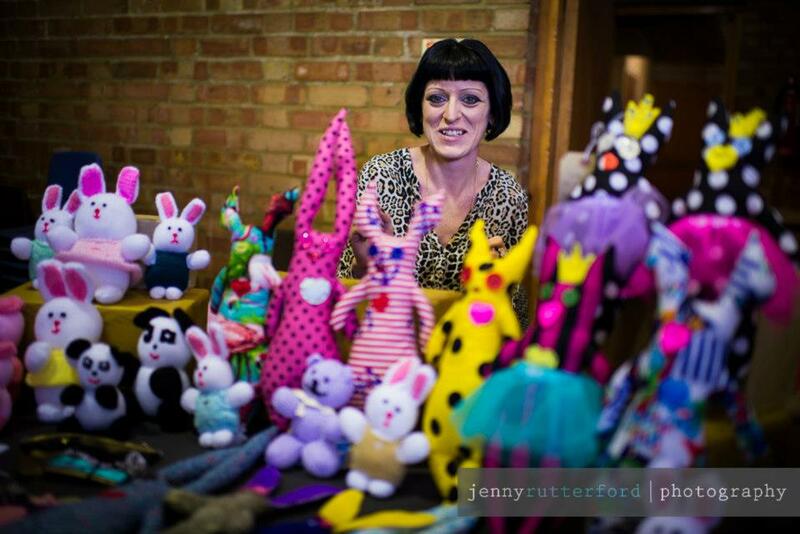 I pop down to Brighton from London with bundles of handmade Fairy things. 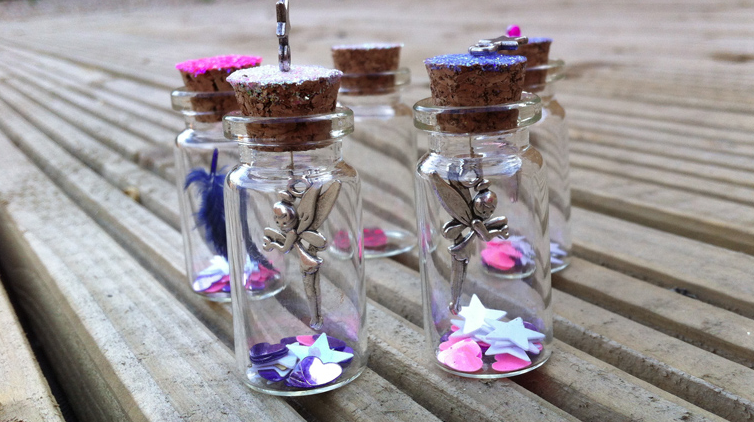 These included miniature, personalized fairy and elf letters, feather headbands, magic wands writing sets, wish jars, heart garlands and jewelry. If you would like anything personalized in advance please send me an e-mail (fairyletters@strawbug.com) and will have them ready for you to pick up on the day. Can hide in a paper bag so little ones don’t guess what is inside! We have limited edition stocking fillers including unicorn and fairy bracelets, thank you letter sets (1st place they will be sold!) and of course our Christmas special elf letters. 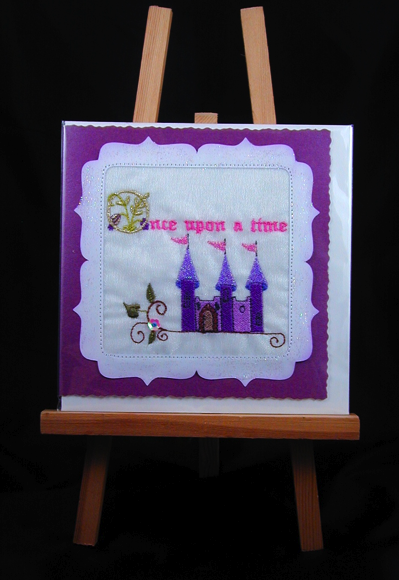 The Fairy Tale Fair is the only fair we are going to but we do take custom orders and sell through etsy. I love coming to the Fairy Tale Fair, the atmosphere is brilliant and the face painting is second to none. In ‘real life!’ I work as a designer and design researcher which I love but am hoping the fairy business will continue to expand. Family, Friendship, Love, Laughter and Sparkles. I’m Caleigh Illerbrun (aka Caleigh-ill…). I’m originally from Canada, having moved over to the UK 6 years ago. 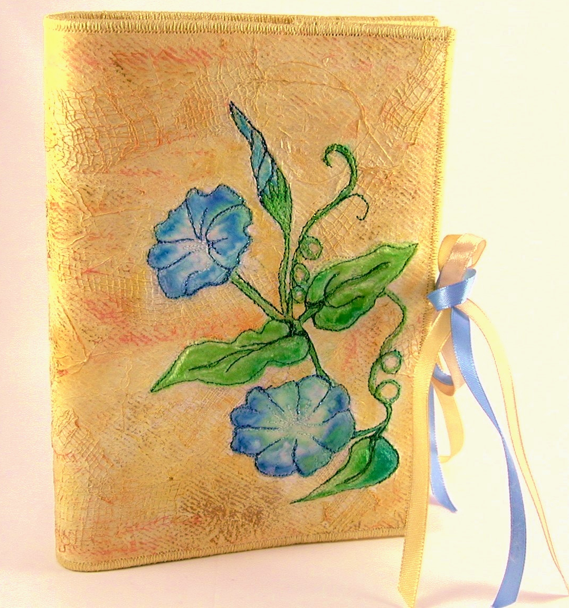 And I do a lot of drawing/painting.. which I put onto various products. 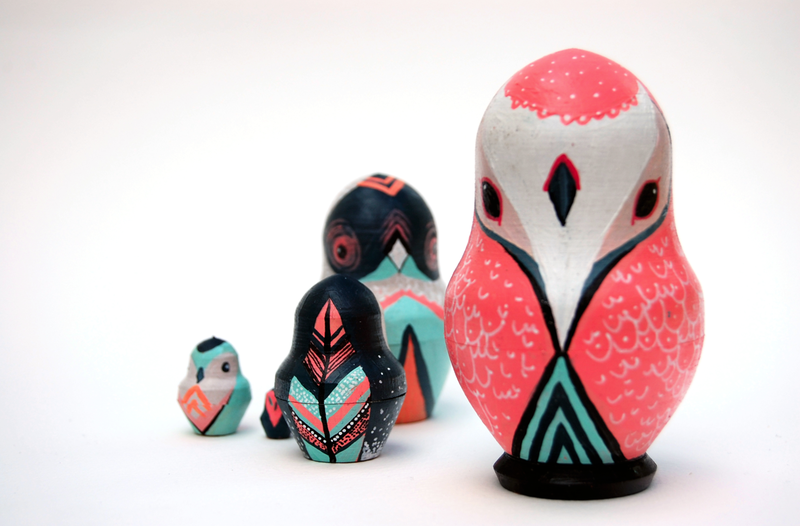 I also paint custom things, such as my ‘Russian Owls’. 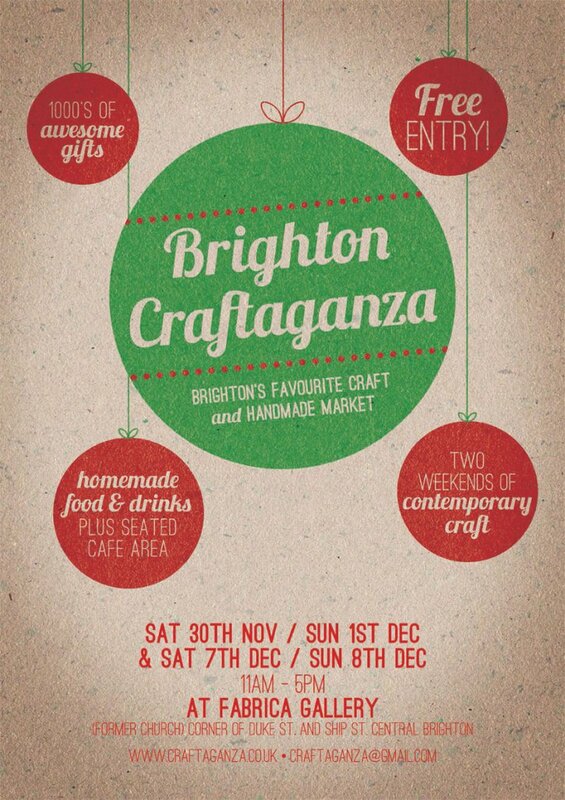 I have been creating and making for all my life but only started to sell my creations properly upon being inspired by all the lovely crafty-ness going on in Brighton. 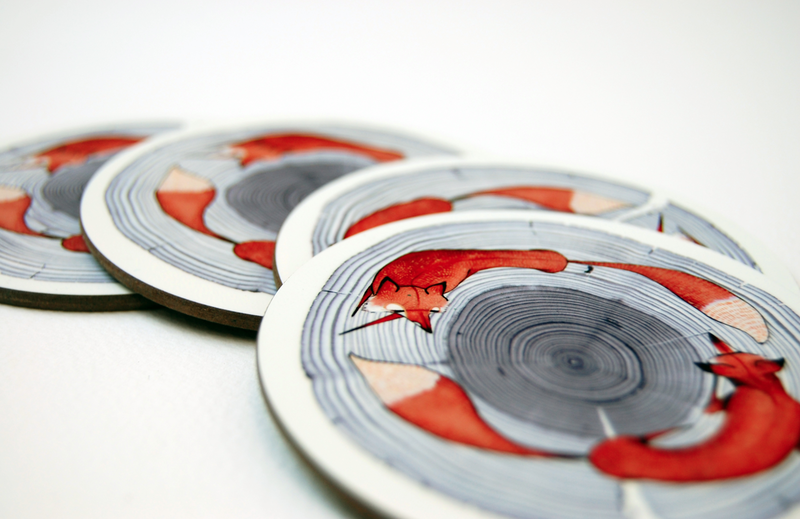 By far my best selling is the ‘A Chase’ design on coasters. They are a limited edition of 50 sets total and I am quickly nearing the end of their run. View here. I enjoy the process of creating the most. I feel that I would always be creating something no matter what, even if I did not have an outlet to sell my products through and even if my creations never saw the light of day. 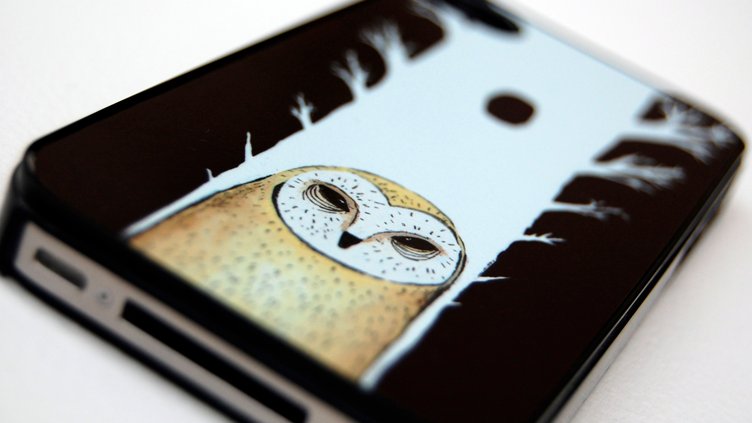 I also enjoy seeing people’s reactions to my work at markets and fairs. I have done other markets in other cities, but Brighton is by far my favorite. The community of crafters and customers is the best of anywhere I’ve been. I’m happy with the place I’m at right now with my artwork and products; there is of course always room for growth and I’d love to be in a position to not need a full time job. There’s always time to eat cake. 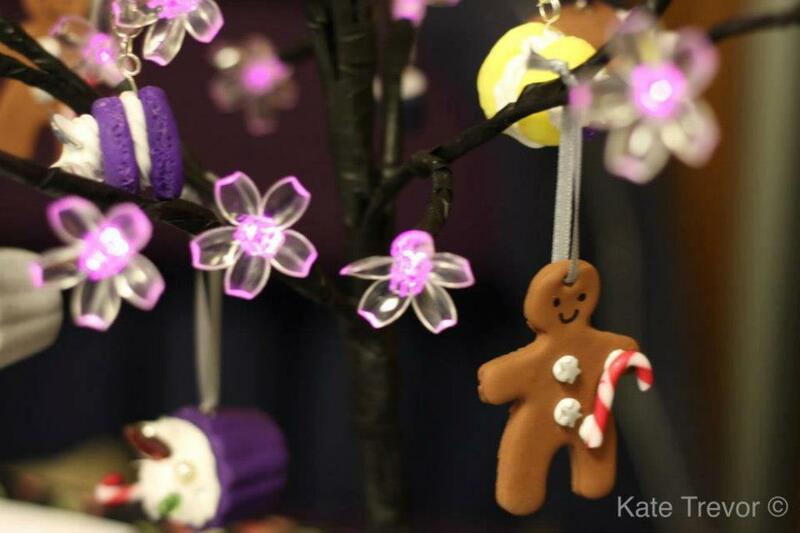 I work part time as a teacher of Science in a pupil referral unit in the city and make polymer clay charms. I have now added some resin charms to my collection. 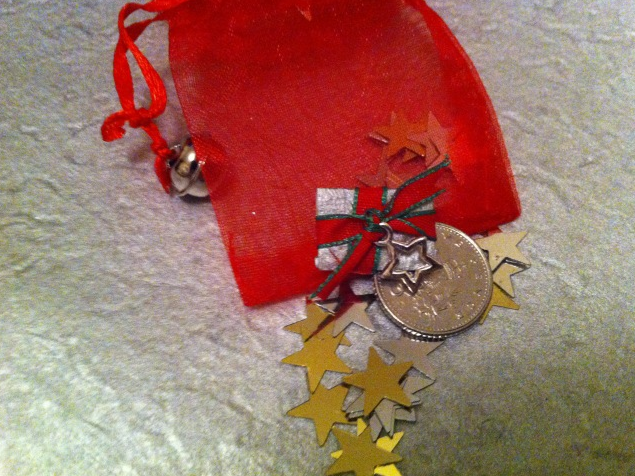 I have some limited edition festive charms available, some resin Christmas decorations and some festive earrings. As it is the 50th Anniversary of Doctor Who I will also have some Doctor Who pieces. No. The Fairy Tale Fair is my craft fair of choice. 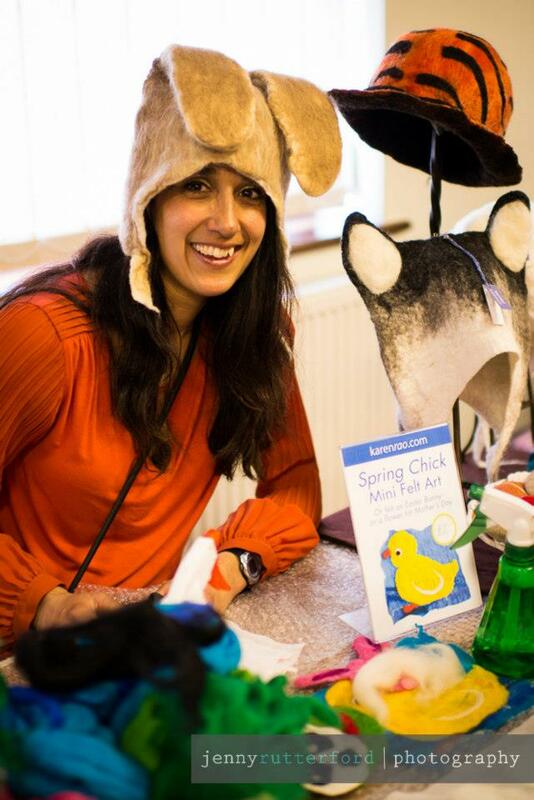 I love doing the Fairy tale Fair, the atmosphere is always great and I have met some lovely people. I went part time this September, which allows me to spend more time making things. 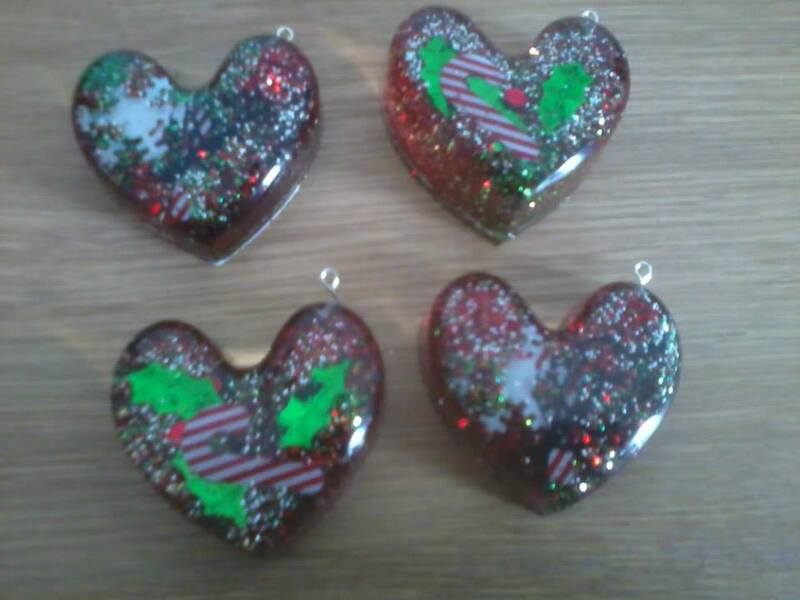 So far on my day off I have been making festive bits and pieces and I have to say it is a great way to spend a day. It would be lovely to do this full-time but at the moment I really enjoy teaching Science, especially in such a challenging environment. Doctor Who Christmas special! Whoop! I am really looking forward to the Fairy Tale Fair at Christmas. I had such a lovely time last year, met some really great people and enjoyed the festive atmosphere. See you there! 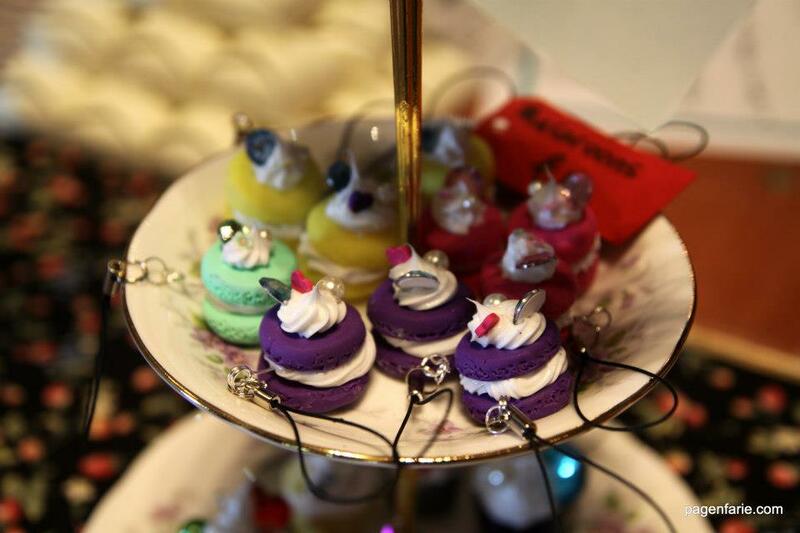 We look forward to welcoming Natalie of Sweet Dreams Candy Cart back who joined us last Christmas. 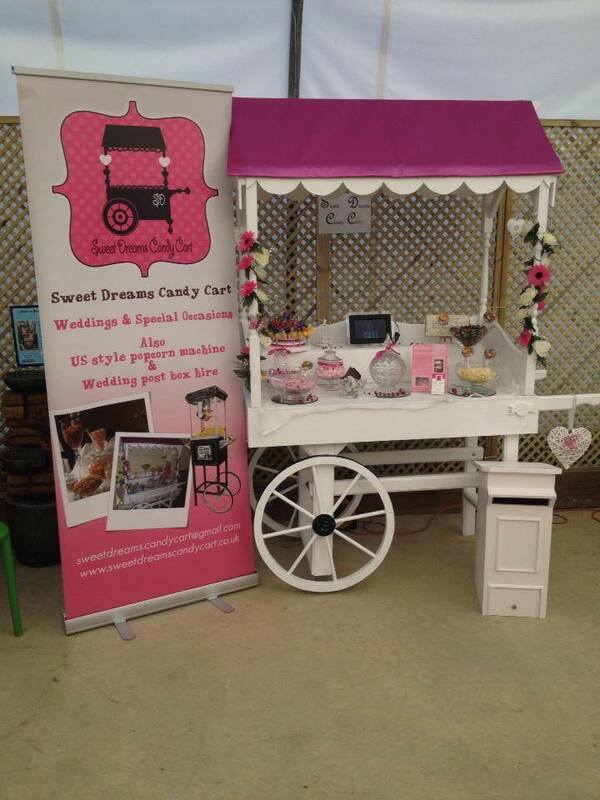 Her cart is beautiful and she will be selling some lovely yummy sweetie treats for kids and big kids! 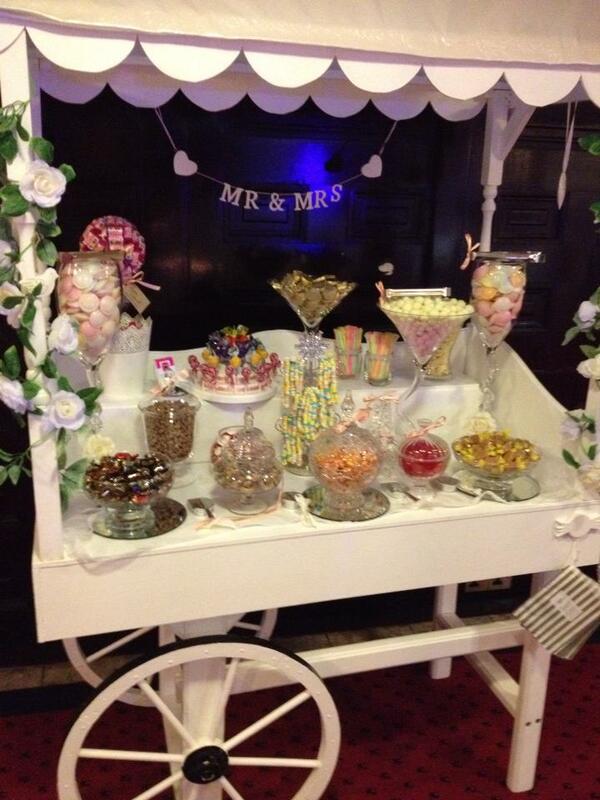 Hi My name is Natalie and I run Sweet Dreams Candy Cart, vintage sweet cart hire for weddings & special occasions. Also US style popcorn machine and lockable post box, wishing well hire. 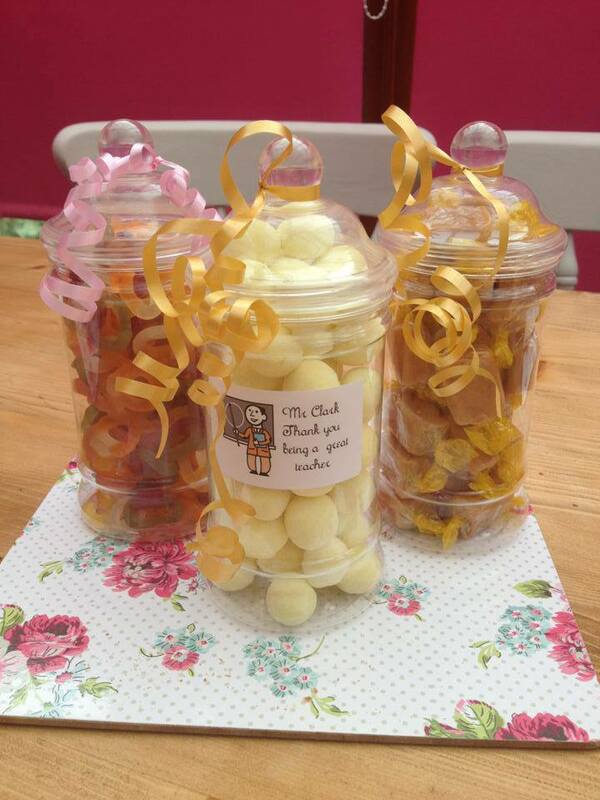 Also Sweet Cones and Jars. 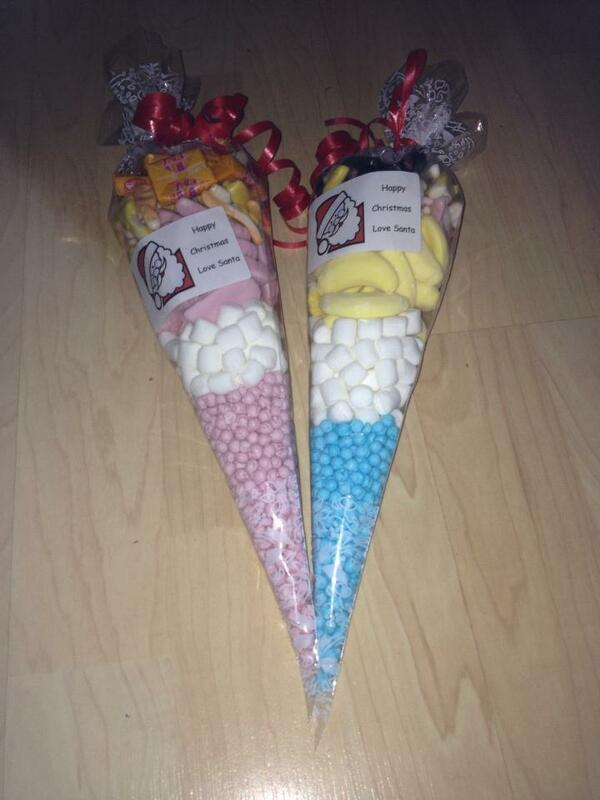 I will be selling sweet cones, jars, snowman soup, fabric heart wreaths and xmas candle jars. 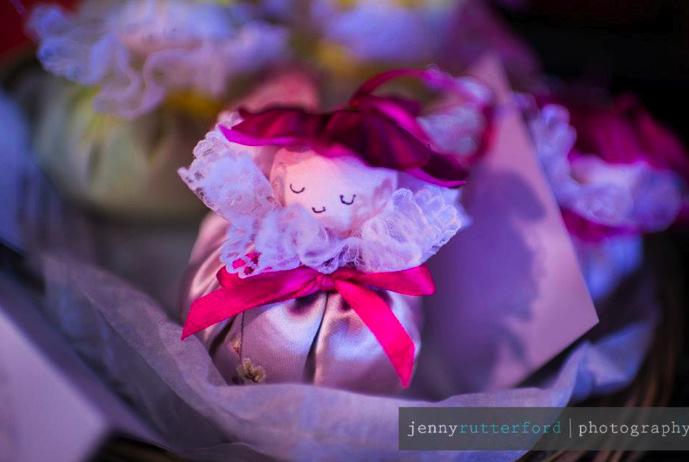 I had a lovely time at the last Fairy Tale Fair, I met some lovely suppliers, crafts persons and customers . There was some wonderful items on sale which make lovely Christmas presents. 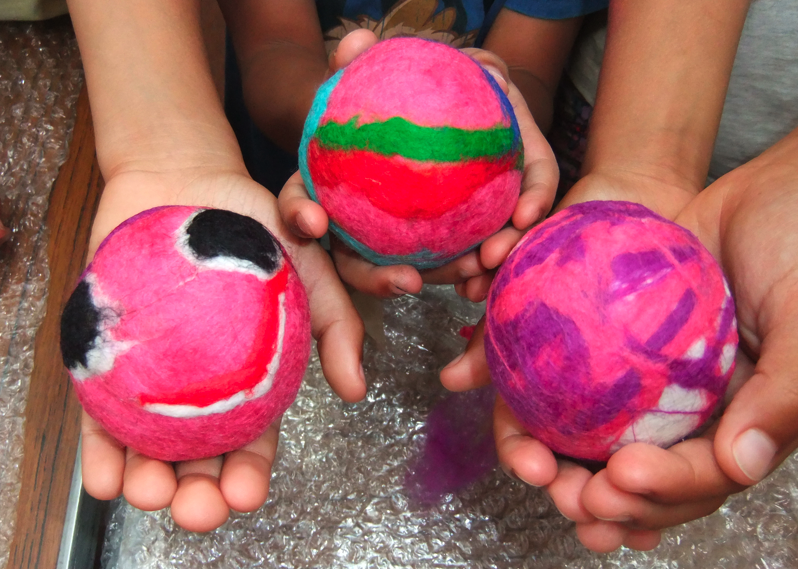 Today we are excited to welcome back Karen and her ever popular felt workshop! Make sure you don’t miss her in our workshop room! 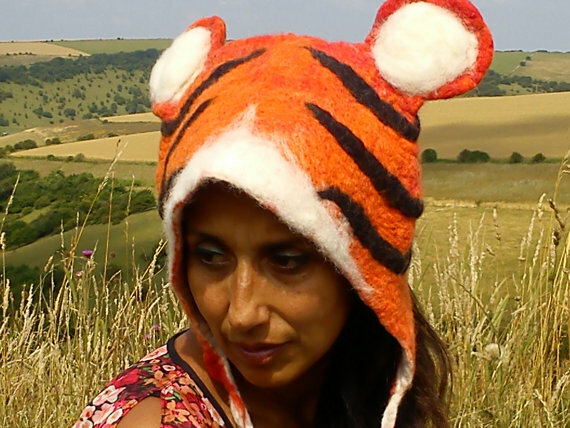 I am a Felt Artist who creates hand felted dog inspired hats and many other animals inspired by their wonderful colours, textures …. and ears! 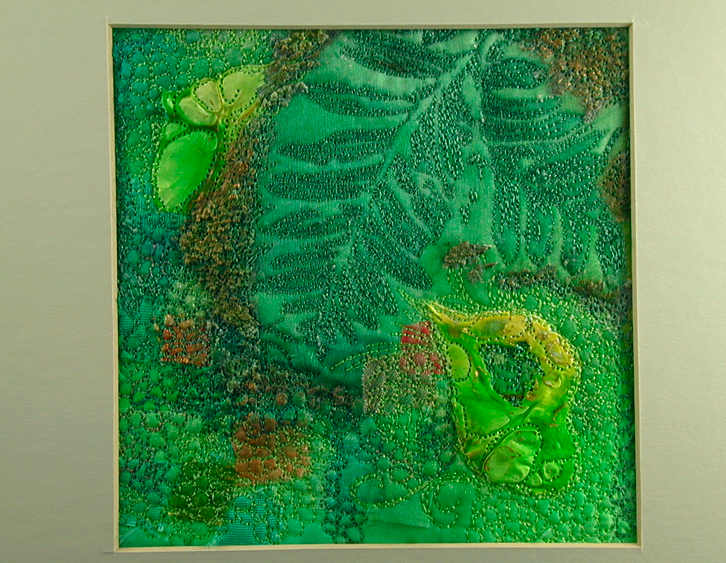 I create an array of hand felted goodies from floral corsages, felt wrapped pebbles and bold wall art! No, we will be making special festive creations! 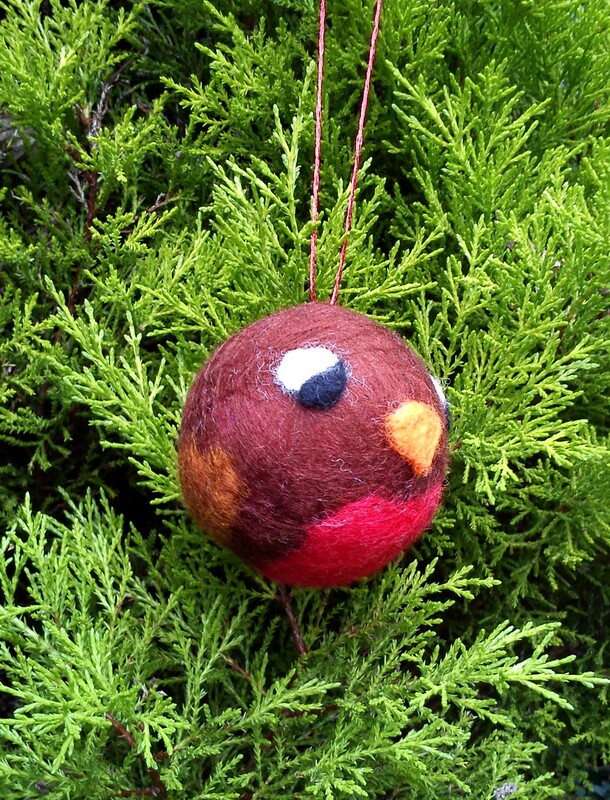 My felt making workshop will involve “Felting a Christmas Bauble” Using a plastic ball as a base, we will wrap it in wool, add our festive character …. or pretty pink rabbits (or anti festive spiders or black cats) and rub with soap and water, then voila! 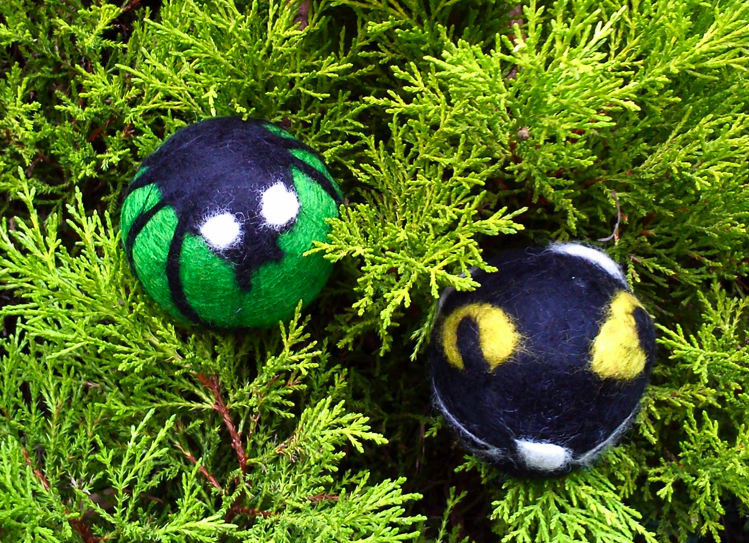 We have created handmade felt. It’s always great fun, suitable for all ages. Maybe this time Mums and Dads, let the kids have a go!!! It’s always such an enjoyable day, especially seeing everyones creations, but also having a quick catch up with all my Arty chums too! Every now and then something surprising happens that takes me in a new direction. I find that exciting – not knowing what great things the future holds. 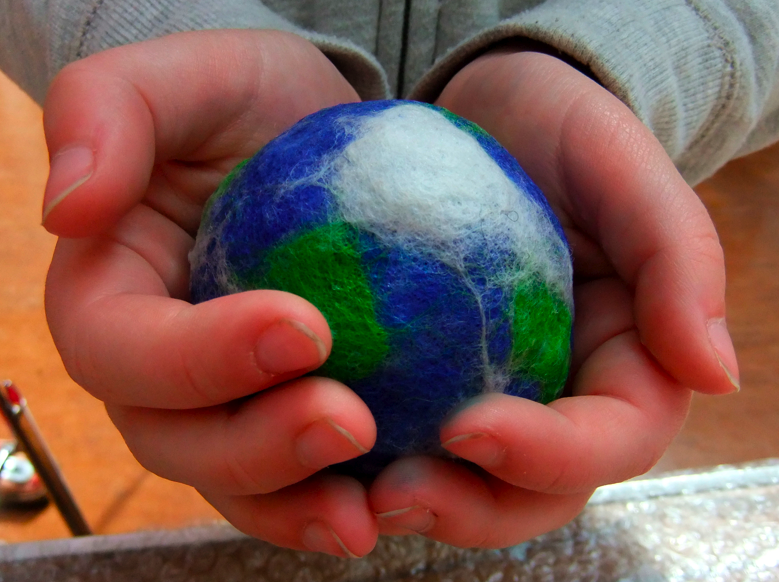 I’m enjoying holding felt making workshops, I’m holding an after school club at the moment and one day I’ll hold regular adult classes …. The flyers for our Christmas fair are now released! They have a new look and we hope you like them! 5,000 of them will be across Brighton over the next couple of months! Please share everywhere you can! Today our application for our christmas fair on the 16th November have been released! If you didn’t get an application no need to worry as you can apply here: thefairytalefair.wordpress.com/application-form. All details are on the application. Hope to hear from lots of you and good luck! Please note: There is over 200 of you on the mailing list for stalls now, and only 34 stalls available- so places are very limited. Please don’t be disappointed if we don’t accept you this time, and don’t let that put you off applying again in the future. Applications close on Sunday September 15th so don’t delay. Stall holders will be announced on here at the beginning of October. Yes we know it is August but Christmas is just around the corner!! Lots of you have been asking about our Christmas date, so we have announced is as…(drumroll!…) SATURDAY 16TH NOVEMBER 2013! Make sure you don’t miss the festive magic! Again we will be at the same venue, Patcham Methodist Church, Ladies Mile Road, Brighton. 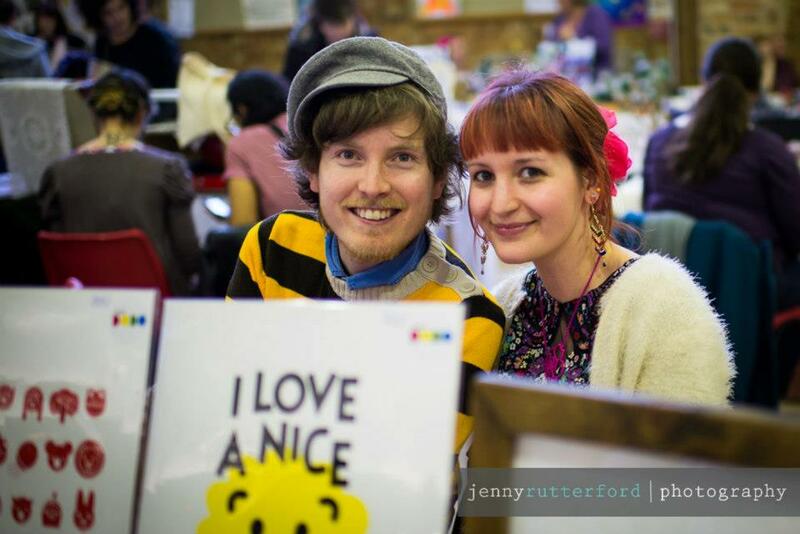 Again there will be over 35 craft stalls, workshops, face painting, vintage tearoom and much more! 1 day to go!! 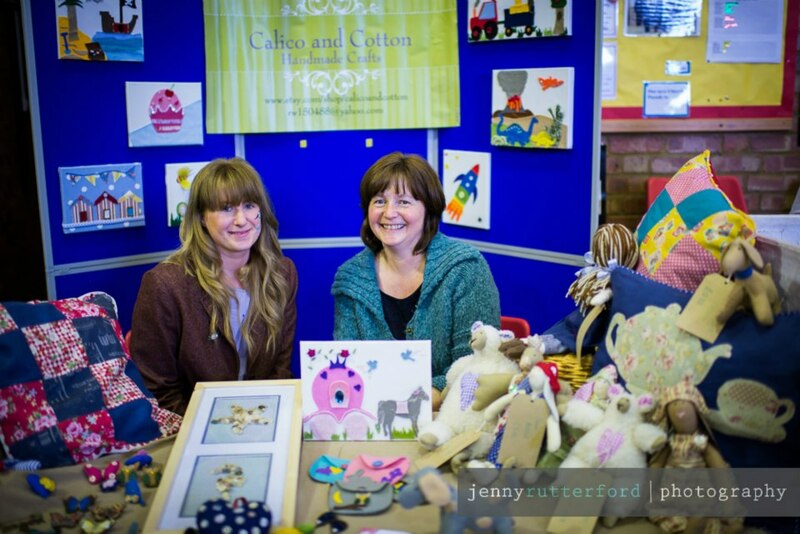 Reason 1 to visit: Our Stall Holders!! Well the big day is almost upon us and just over 24 hours to go until we open our doors to all you lovely lot! 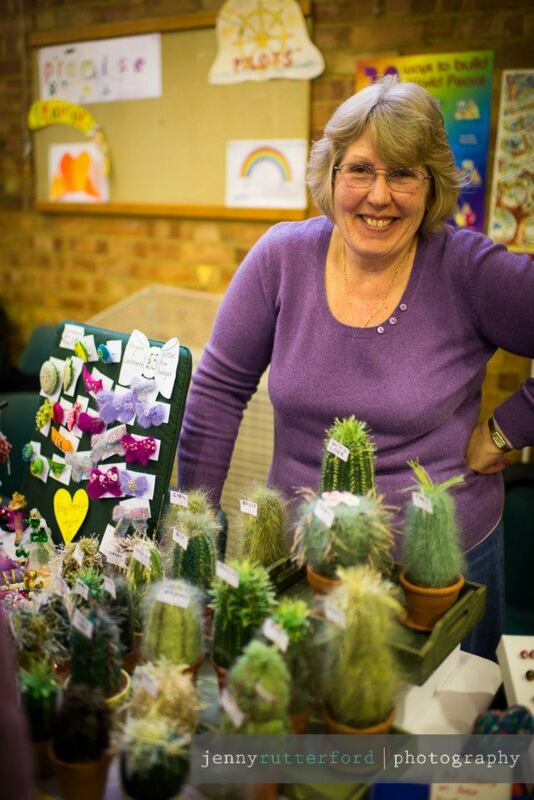 Reason 1 to visit: our super stall holders! You will find over 35 of them nestled in Patcham Methodist Church, Brighton. 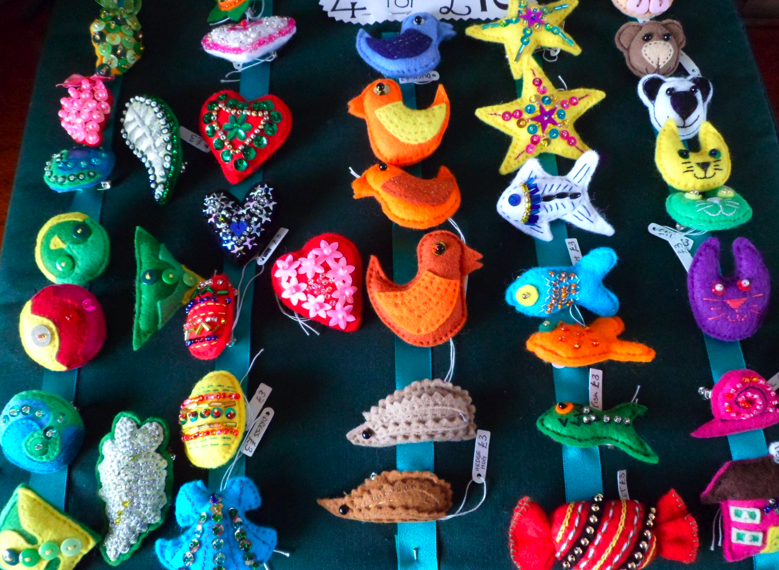 From jewellery, to greetings cards, prints, to vintage, ceramics to knitted creations, chocolates to soaps, bunting to face painting and much much more! See our stall holders page for a full list of who will be joining us on the day. 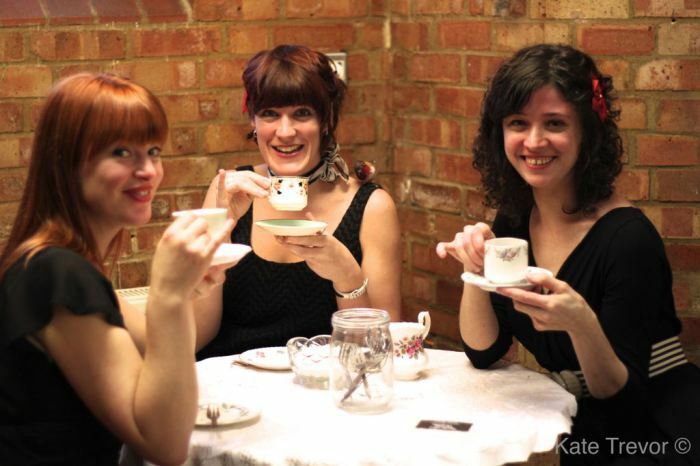 We can’t wait to welcome back Fairy Tale Fair regulars and also so new faces too! They will all help make our 1st Birthday extra special! Come along tomorrow and meet them all! I taught Textiles at the local secondary school for over 30 years. 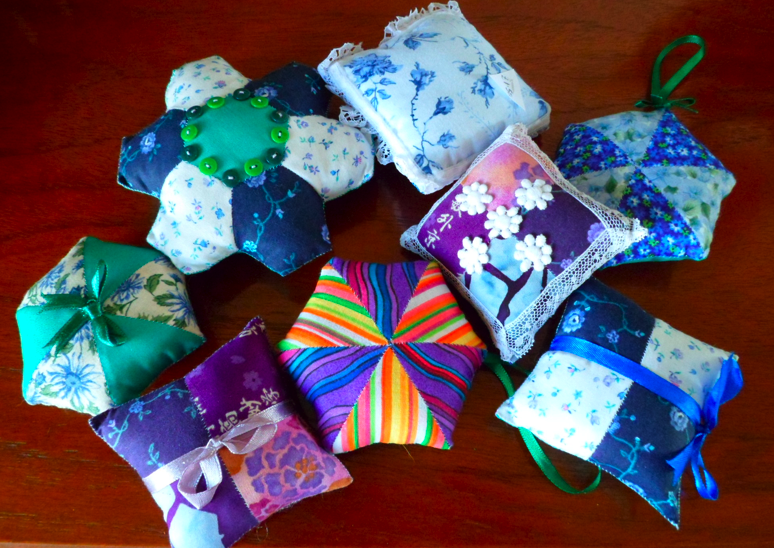 During those years I taught students how to hand sew and use a sewing machine. I also promoted embroidery, knitting, quilting, French knitting, tie/dye and patchwork within the lessons or short courses at the end of terms. 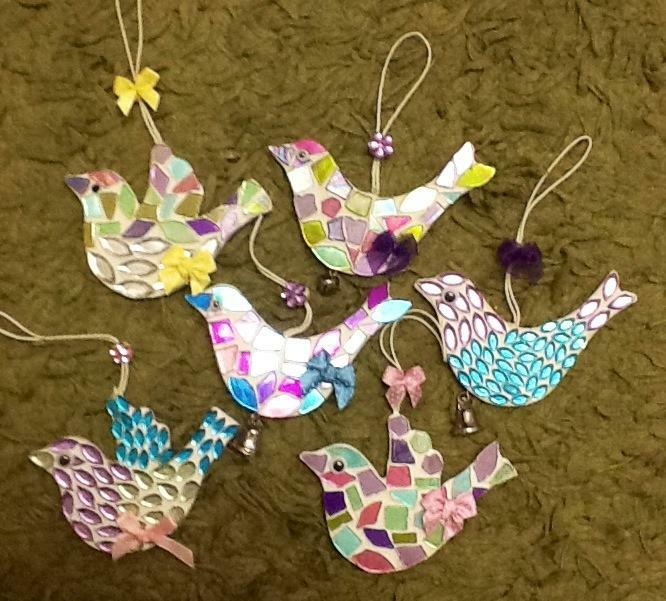 Now I have retired I am enjoying experimenting with different crafts and combining them in different ways. I like to work quite small but always take care to make everything detailed. I love colour, decoration and embroidery. My creations, I hope, show lots of skill but are still practical. I always try to incorporate a little something to make you smile. I have always made bits and pieces for friends and relatives but have only sold my items for the last year or so. 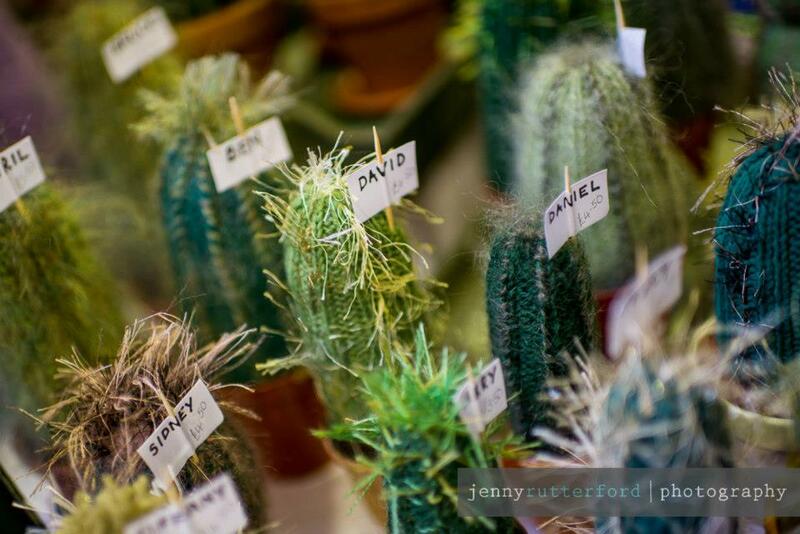 My knitted cacti seem very popular as they look real but are not vicious and you cannot kill them – practical but fun. 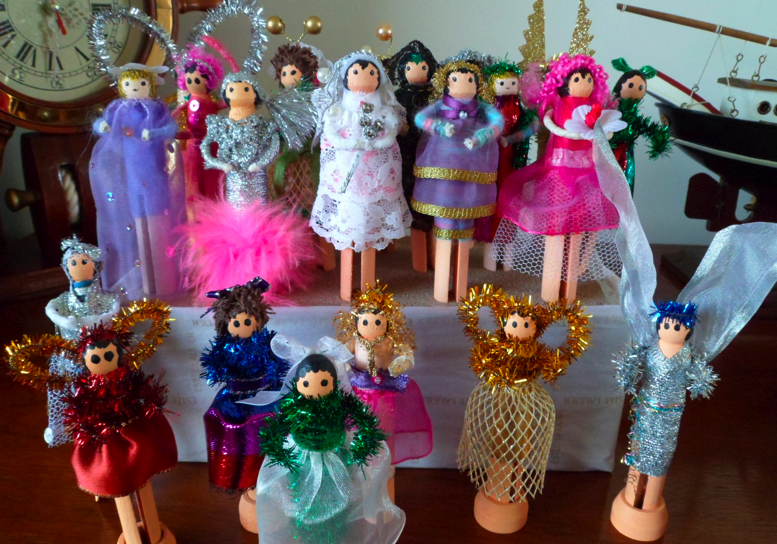 People like my Super Star peg dollies as they are very detailed with lots of ribbon, lace and glitz – modeled on Lady Gaga. 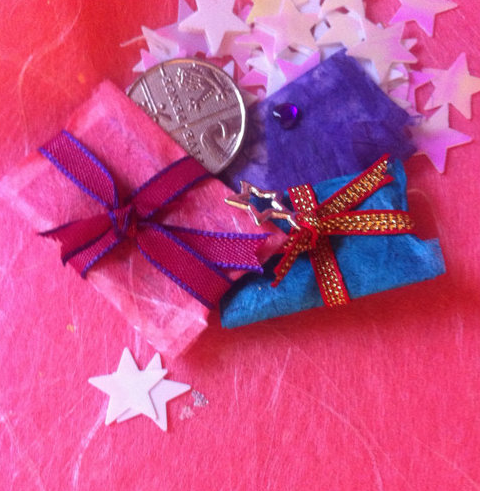 I have made up some kits for the next fair so everyone can make their own individual Super Star. I never make exactly the same thing twice. Everything is different from the last one. So I still get a kick when I find a new pot for a cacti or a really nice piece of fabric for a peg dolly. I love trying new ideas. 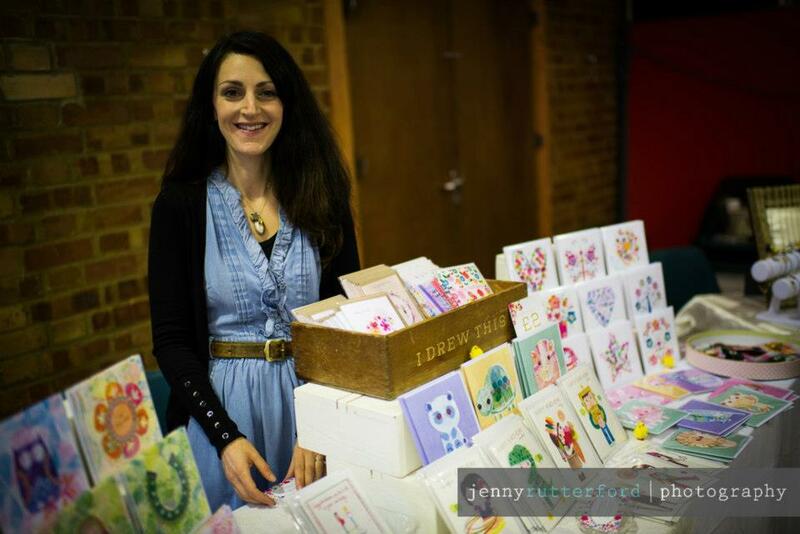 I only work with The Fairy Fair and have been lucky enough to have done 3 fairs to date. 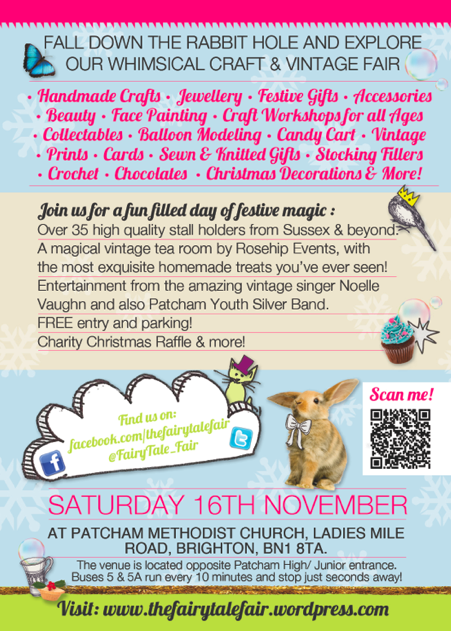 I am really looking forward to the Fairy Fairs 1st birthday fair. I enjoy crafting and if people continue to like my work I will continue to sell. If not, then my friends and relatives will receive more gifts! I cannot imagine not doing some sort of craft work. I am painting a farm yard mural for my new granddaughter at the moment! 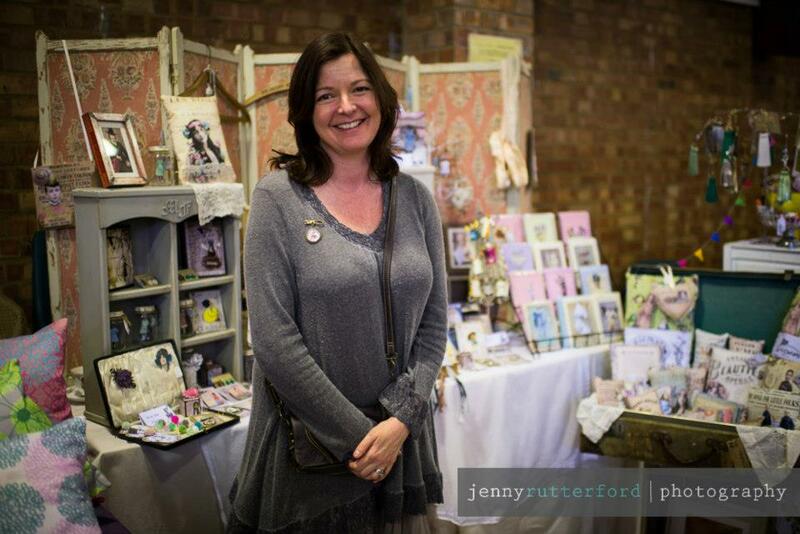 It’s fabulous to be with craft lovers – sellers and buyers, plus cake and tea. What’s not to love? I cannot praise Claire enough for her professional but friendly organization of the Fairy Fair. It always looks fantastic. 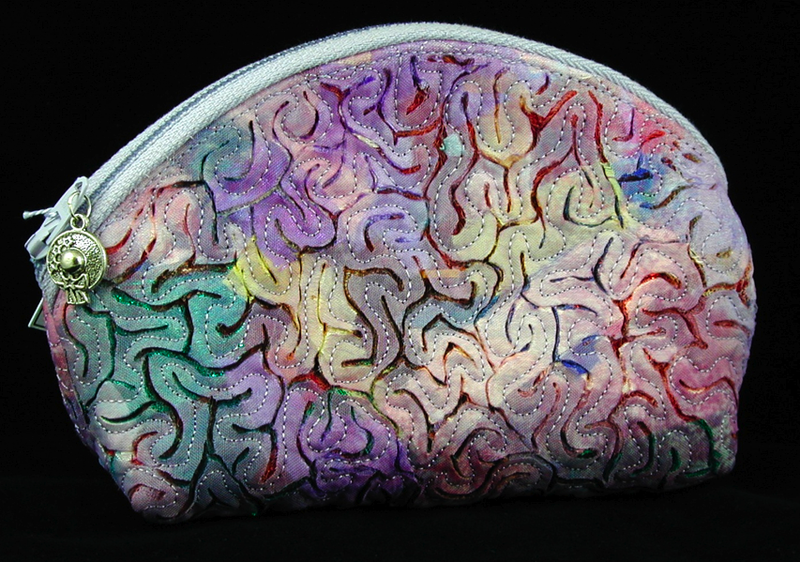 Georgie Arts makes luxury embroidered gifts, cards and accessories. Our style is sumptuous, richly coloured, textured and embellished. Too long to remember- I’ve always been a crafter and embroiderer, but our range is constantly updated and developed with new items added and old favourites embellished in new ways. Travel, mood, seasons and materials can all trigger new designs which mean it’s always evolving and new to me. Whilst the embroidered greetings cards are always great sellers, it’s difficult to say otherwise. 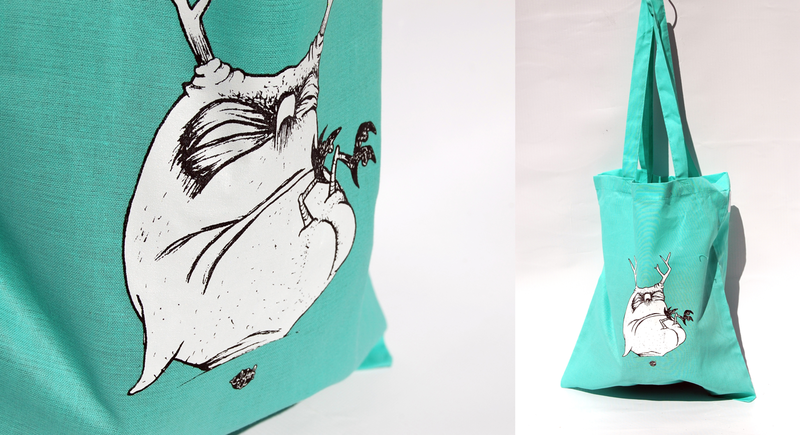 Bags are popular in wedding and party seasons, notebooks for gifting and regular customers scout for new lines. We also bespoke a lot of orders, either inspired by existing pieces customers want personalized or entirely to a clients wishes. The luxury of being able to spend my days doing what I love and surrounded by lovely materials, colour and the prettiest of trimmings, beads and embellishments. Once a design has been trialed and material chosen I can lose myself for hours stitching away. What’s not to love? 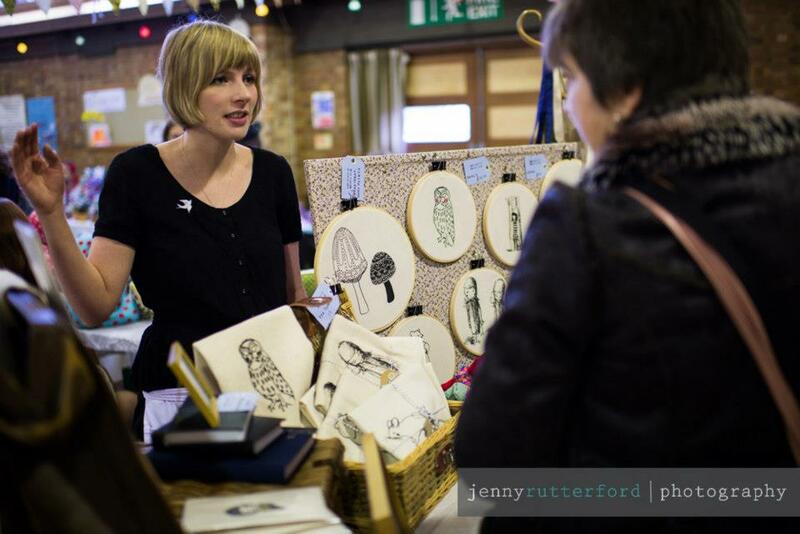 We tend to flit around other fairs to meet new people and in the last year have been to Brighton Craft Fair, Belles Wedding Fair & Makers locally, but The Fairytale Fair is our favourite Brighton date and so we’re really pleased to be back. 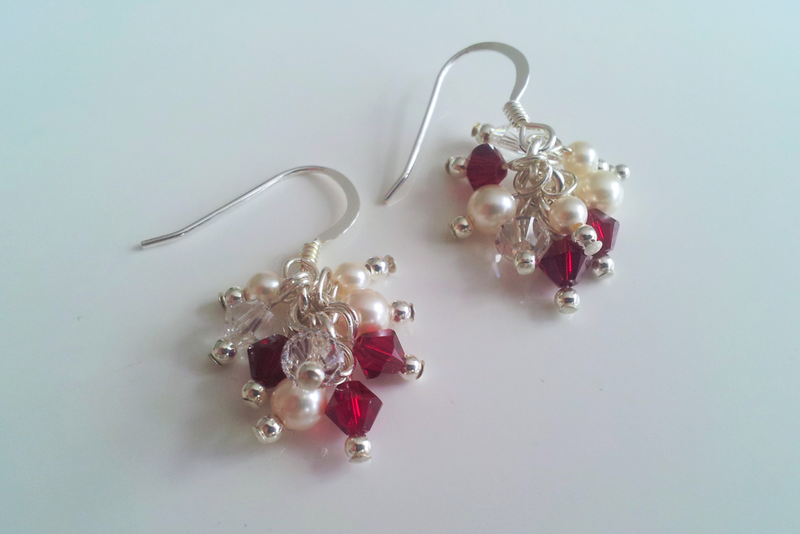 We are still developing our beaded bridal range in conjunction with The Silver Hut which has provided the opportunity to develop a new range and new direction. We hope we’ll always be developing fresh ideas. Yes, we’ve been at all the fairs and love the happy, busy atmosphere. There’s always so much to see and do, high quality and interesting goods, nice people to meet and dreamy scrumptious cakes when we need an energy boost! 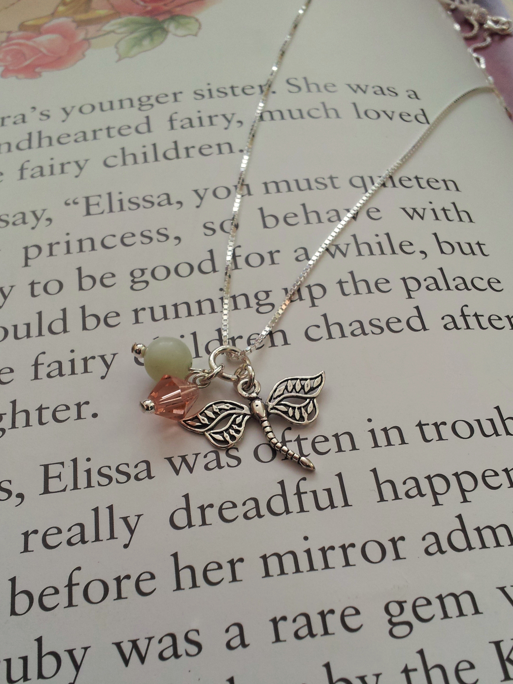 Only to say that we truly believe in fairies and feel certain it will be another magical day!